What many people may not understand about childhood cancer is that the devastation reality of the disease goes miles beyond anything physical. In addition to the extreme financial strain of paying for care, Brevard and Indian River based families must also devote an overwhelming amount of time, travel and money for countless other expenses. From the shock of the diagnosis to the painful side-effects of treatment, the ongoing heartbreak and emotional impact felt by the entire family is hard to imagine. While nobody can see the diagnosis coming, we can make sure that our local children and their families have the support and resources they need to fight back. From economic assistance to emotional encouragement, join Candlelighters of Brevard in helping families survive the extreme physical, psychological and practical hardships of this disease. The South Brevard Sharing Center Inc. (SBSC) was founded in 1971 as a non-profit, community based agency whose mission is to support, strengthen and empower families to achieve self-sufficiency in south Brevard County, FL. The Florida Cancer Specialists (FCS) Foundation provides financial support to qualified adult cancer patients in the state of Florida for expenses such as rent or mortgage, car payments and utility bills. By giving patients peace of mind in knowing that their bills are being paid while they are undergoing treatment, the FCS Foundation allows them to concentrate on what really matters – fighting cancer. 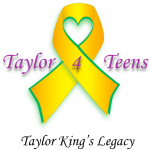 Our mission is to bring awareness to teen issues and guide teens to available resources. We do this by participating in every event where we can reach out to teens. We also take every opportunity to educate adults of the unique issues teens face today and how their needs are different from that of an adult. 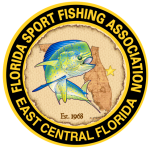 The FSFA is a family oriented, non profit organization dedicated to promote and advance the enjoyment of sport fishing in the Space Coast area and throughout the state of Florida. 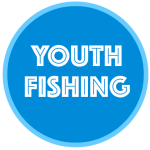 The Central Florida Shootout is proud to also several local youth and sports programs. Brevard County’s premier comprehensive cancer center offering leading-edge cancer care to our community from diagnosis, through treatment and into recovery. Discover the difference of their quality of care, experience and leading innovations in the fight against cancer.